Sport-locker.net considers battling the elements in winter time another opportunity to freshen up the wardrobe and we need look no further than the new collection released by Nike. Tradition and technology unite in the Holiday 2014 Nike Tech Pack collection featuring Nike Tech Fleece Aeroloft. For decades, fleece and feathers have been the key materials for outdoor performance: Fleece fabric has been at the core of athletic wear since Nike’s genesis, and goose down fill has been humanity’s choice insulator for over a century. 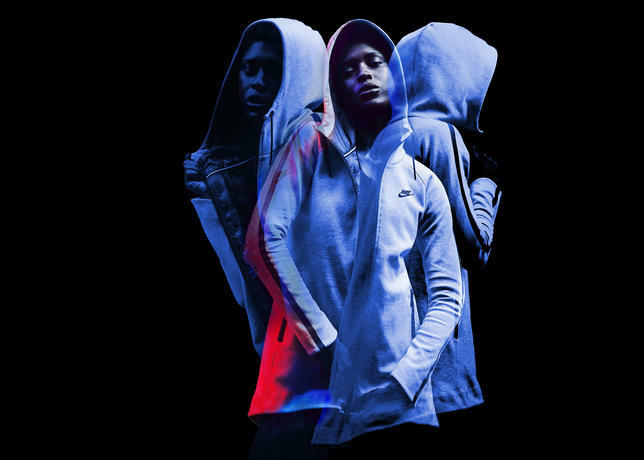 The two cold-weather buffers converge in the latest Nike Tech Pack, a line that has reappraised staples and elevated them to aid the modern athlete season after season since 2007. The benefits of fleece and down reach their pinnacle in the Nike Tech Pack collection as Nike Tech Fleece and Nike Aeroloft technologies work together for fully reversible comfort and protection from the elements. The lightweight and warm Nike Tech Fleece fabric redefines an athletic staple, while Nike Aeroloft technology bolsters warmth and adds an aspect of thermoregulation as it expels excess body heat via laser-cut zoned ventilation. 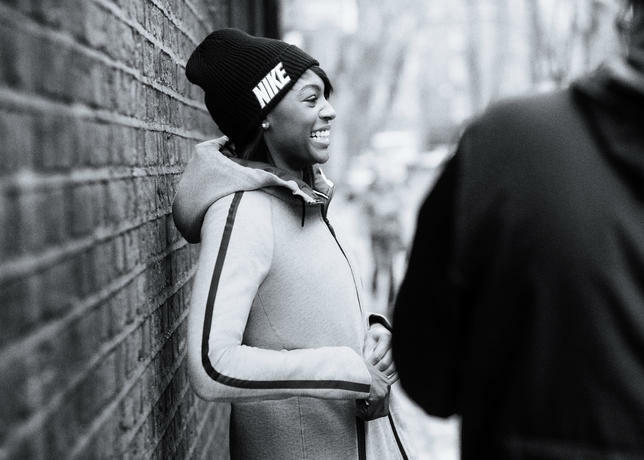 The women’s Nike Tech Fleece Aeroloft Parka delivers warmth and ventilation in an elegant package. A formfitting upper body blends with a released hem and oversized hood for a modern silhouette, with a semi funnel neck for extra comfort and coverage. 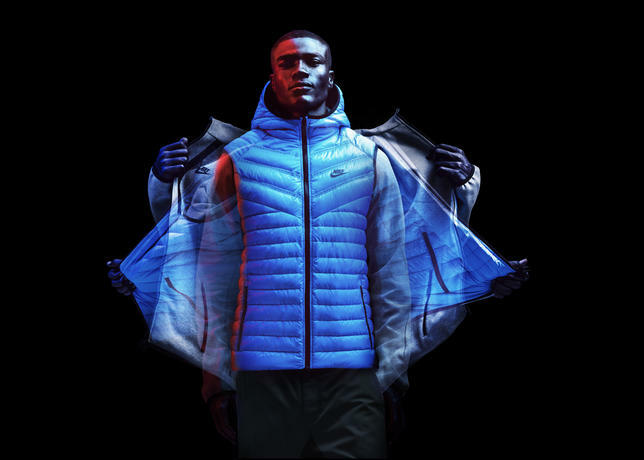 The men’s Nike Tech Fleece Aeroloft Windrunner gives an iconic running design fully reversible two-in-one versatility, allowing the wearer to choose between concealing or revealing the 800-fill goose down Nike Aeroloft vest. Bonded zippers give the jacket a technical look and the elastic binding on the hood and cuffs helps keep the elements out, regardless of how it’s worn. The Holiday ’14 Nike Tech Fleece Aeroloft collection is now available at select Nike Sportswear retailers and online at nike.com/sportswear. 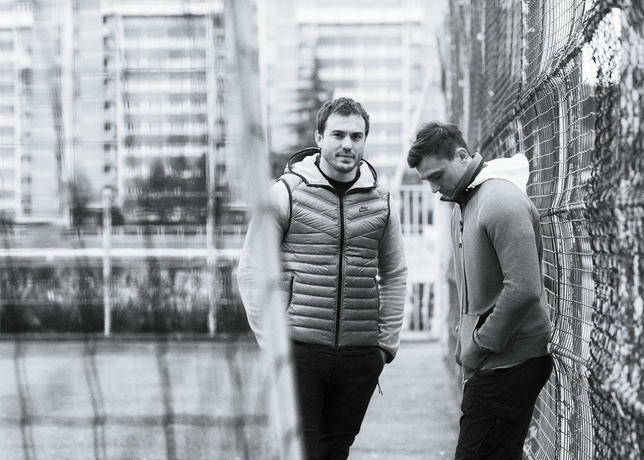 What do you think of the new Nike Tech Fleece Aeroloft Collection? Let us know in the comments section below or on our Twitter and Facebook pages.